Here is a nice little dessert for one! Are you short on time, but want something sweet? 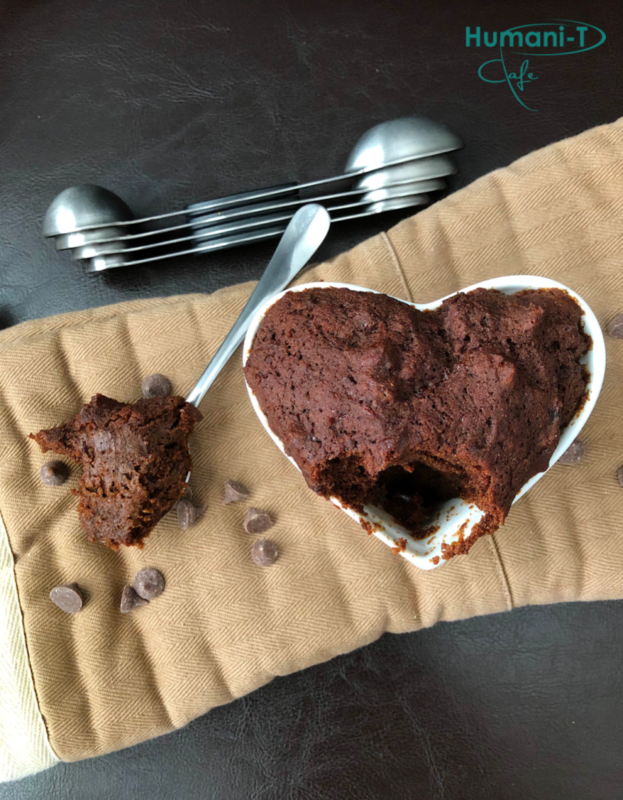 Then check out this mug cake that literally takes only five minutes to prepare and 15 minutes to bake. It’s chocolaty with a nice coffee aroma! 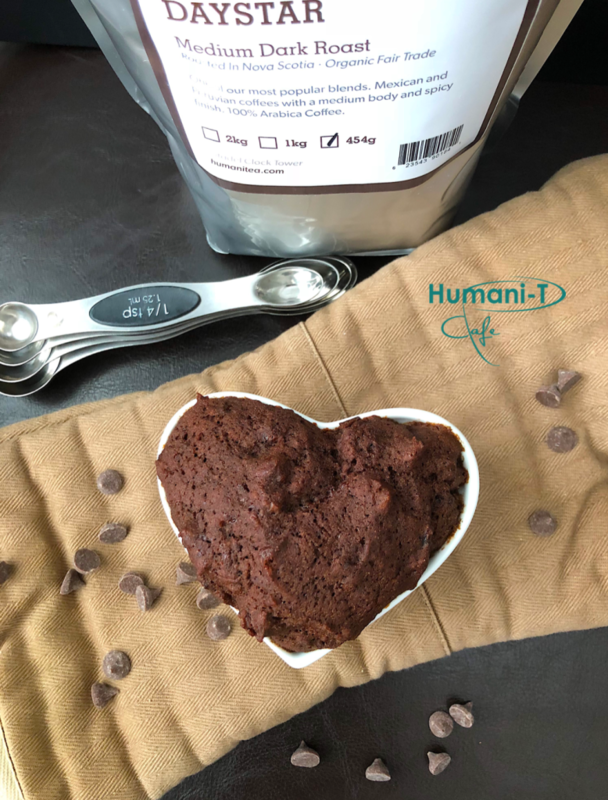 Baked to perfection using Humani-T’s very own organic fair trade Daystar medium roast coffee. Ahead of time brew a cup of fresh Humani-T organic fair trade coffee. In a small glass bowl, mix all dry ingredients. After mixing dry ingredients, add wet ingredients. Mix well, and then transfer to an oven safe ramekin. Bake in the oven for 15 minutes and allow to cool prior to serving!